It's a struggle to open my eyes, the harsh light streaming in from right ahead. Focusing slowly, a shape comes into view between the pines, a surfer, shaking off the sea. The water surrounds him like a halo, his wetsuit smooth like the skin of a seal. I lift my head to past him, the golden light reflected as far as my eyes can see. 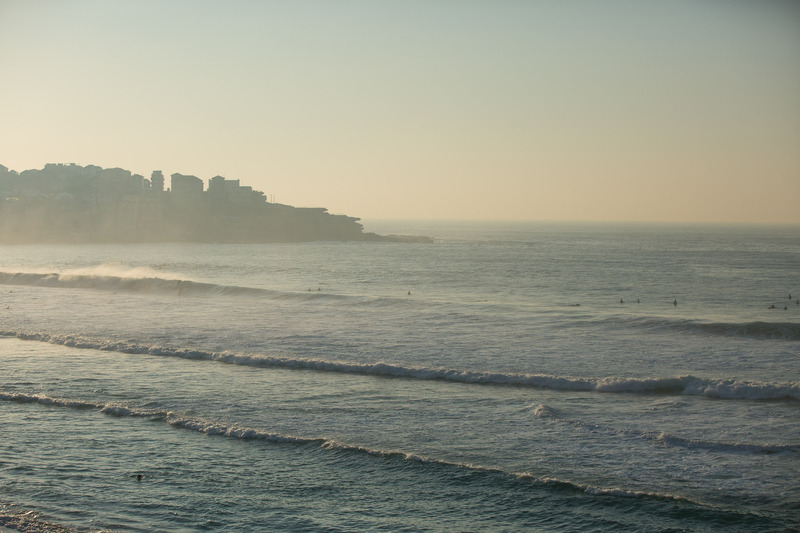 North Bondi in the distance, soft shapes behind a haze. Morning light and salty air. Easy like Bondi mornings.